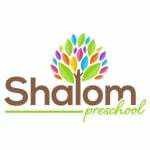 The Shalom Preschool offers enrichment opportunities during school hours. An instructor visits our school and engages the children in fun gymnastics. The instructor is a highly qualified and much sought after teacher who gets all the children involved in the activities. All children are musical. All children can learn to sing in tune, keep a beat, and participate with confidence in the music of our culture, provided that their early environment supports such learning. Our bi-monthly music program introduces children to new songs and rhythms and helps them develop confidence in their musical experience.